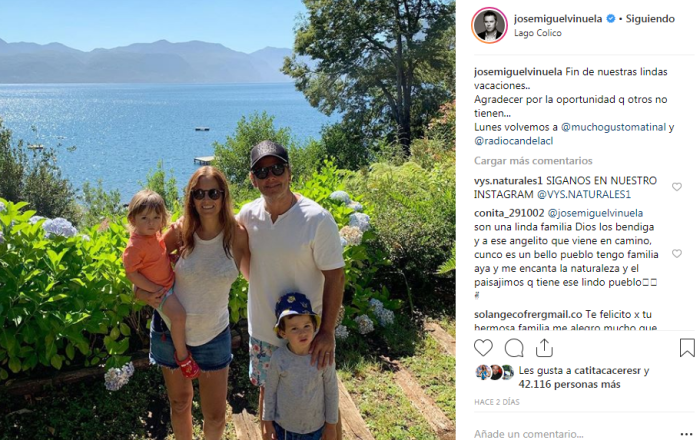 José Miguel Viñuela is a frequent user of social networks, especially Instagram, sharing information about his personal and working life with his followers. It was on the platform that the animator shared the idea of ​​ending his family holiday in southern Chile. However, what attracted the attention of the user was not a photograph, but a message with which he published the publication. "The end of our beautiful holidays … Thank you for the opportunity that others do not have …", was a comment that immediately caused the discomfort. "Perhaps others can not have a vacation, but that does not mean we should feel envious of yours." "What ugly José Miguel, what do you say, how good you can"; "It does not have to be said"; "It is not necessary to mention that" others do not ", it is true, but that in person is something else", some emphasized.